As the battle rages on, the students evetually start to get overwhelmed by the infected Atlesian Paladins. Coco allows Velvet to use her weapon, in which she conjures holographic copies of the other students weapons. Weiss arrives at the scene, and she manages to use her Glyphs to summon the Knight's arm and sword to help take down the Paladins, but it exhausts her. Meanwhile, Ruby engages Neo and Torchwick aboard the airship, in which she manages to catch Neo off guard and make her fly off the ship, but Torchwick gets devoured by a Griffon and the airship starts to crash towards Vale. Elsewhere, Blake and Adam have their duel, but Blake gets overwhelmed by him. Yang arrives to help Blake, but Adam slices her arm off, and Blake and Yang are forced to retreat. In the Beacon Vault, Ozpin starts the transfer process in order for Pyrrha to gain Amber's Maiden powers. Suddenly, Cinder arrives and kills Amber before the process could be complete, and she gains the full Fall Maiden's powers. Ozpin tells Pyrrha and Jaune to leave, while he stays behind to take on Cinder alone. 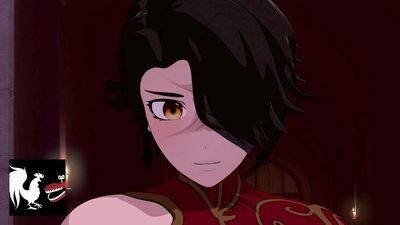 Cinder comments that Ozpin is as arrogant as 'she' said, suggesting there is someone else on Cinder's team who knows Ozpin personally. As Cinder and Ozpin duel in the Vault, a mandatory evacuation from Beacon starts to take place. 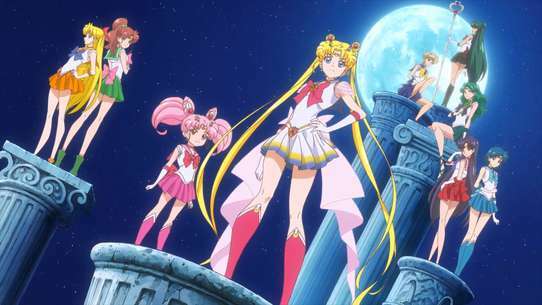 Sun tells Ruby that they need to go because of the Dragon, but Nora and Ren say that Jaune and Pyrrha are still in the school. Ruby and Weiss decide to go and find them. Meanwhile, Jaune and Pyrrha notice Cinder getting to the highest point of the tower. Pyrrha kisses Jaune before pushing him into a nearby rocket locker which sends him to safety. She then goes to duel Cinder, but Cinder defeats her. 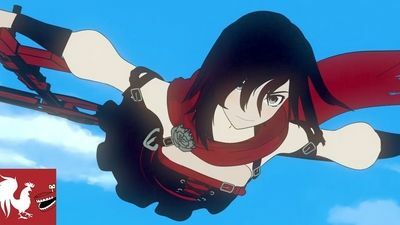 Ruby arrives just in time to witness Cinder stab and disintegrate Pyrrha, causing Ruby to fly into a rage and summon a powerful bright light that blasts a surprised Cinder and the entire area. 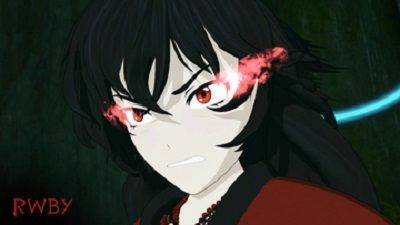 Some time later, Ruby wakes up with her father, Taiyang, at her bedside, who reveals that both her and Yang are fine, but that the Dragon has been frozen by her power and that Beacon has been overrun with Grimm. Qrow then speaks to her alone and talks about her silver eyes, which are a rare trait to have as they are born to lead the life of a warrior, and that Grimm fear the presence of silver-eyed warriors. Qrow then says that Ozpin went missing ever since Beacon fell, and that his only lead is that their enemies came from Haven. 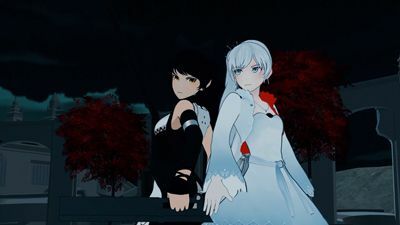 Ruby then visits a despondent Yang, who tells her that Weiss is heading back to Atlas with her father, and Blake is on the run. Moreover, with the CCT in Vale down, distrust between the kingdoms is becoming more prevalent. That winter, Ruby decides to go to Haven accompanied by Jaune, Nora, and Ren. 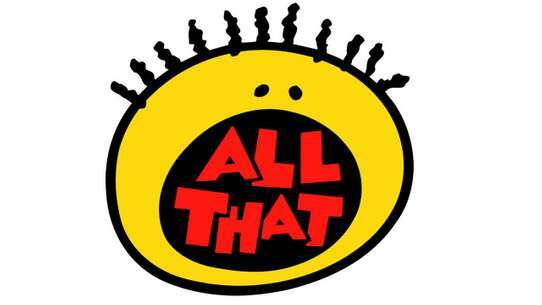 In the epilogue of the episode, a woman named Salem reveals herself as the true mastermind of the events that transpired, and vows to take down Ozpin. 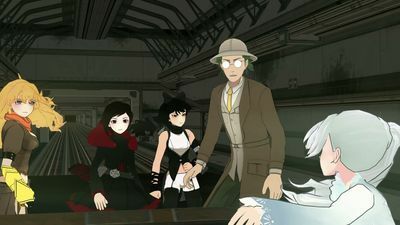 In a post credits scene, Qrow watches Ruby with her friends walking. Holding Ozpin's cane, Qrow jumps from a nearby cliff and a crow takes his place, flying off with Ruby and her friends. 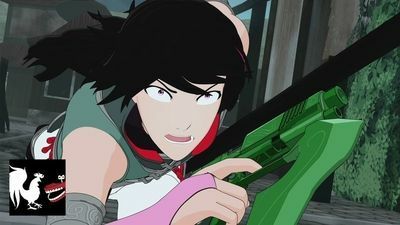 Ruby, Weiss, Blake, Yang, Jaune, Pyrrha, and fellow students Nora and Ren fight for their lives against the monstrous inhabitants of the Emerald Forest in their first true test as Huntsmen and Huntresses. In Salem's domain, Grimm spawn from pools of a black, viscous substance. From the windows of Salem's castle, Emerald and Mercury watch this process with horror and disgust. A severely weakened Cinder calls them to stand by her side. 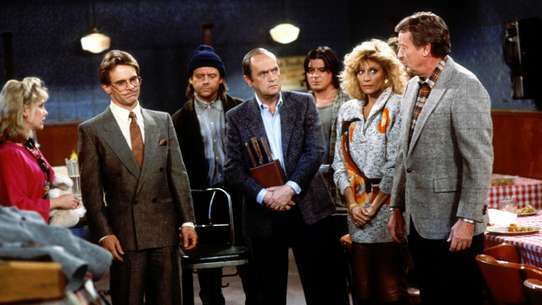 They all attend a meeting, and three of Salem's other underlings are present: Tyrian, Hazel, and Dr. Watts. Watts and Tyrian belittle Cinder, who lost her left eye in the fight with Ruby on top of Beacon tower, and is barely able to speak. Hazel mentions that they should be able to deal and have dealt with silver-eyed warriors before. Salem enters the room and chastizes Watts. She also praises Cinder for achieving her goals, as Beacon has fallen, Ozpin is apparently dead, and Cinder is the new Fall Maiden. However, her status as a Maiden brings a crippling weakness with it, thus Cinder must remain by Salem's side for her "treatment". Salem then announces the next target: Haven Academy. She orders Watts to take Cinder's place in a meeting with an informant in Mistral. Hazel is told to negotiate with White Fang High Leader Sienna Khan, in a meeting arranged by Adam. Cinder, through her mouthpiece Emerald, inquires about Ruby. In response to her question, Salem changes her order for Tyrian. He was supposed to hunt for the Spring Maiden, but now has to find Ruby and bring her to Salem, alive. Tyrian lets out his manic laugh and declares that he will take "an eye for an eye". A young boy seemingly wakes up from a nightmare. He heads outside, and starts working on the fields of a farm. A barn and a house are seen nearby. Nora and Ren walk through a forest, while debating the name for their new team, which consists of themselves, Ruby, and Jaune. Nora argues in favor of Team JNRR (Junior), Ren likes Team RNJR (Ranger) better, and Jaune, who is kneeling nearby, supports Nora. Suddenly, Ruby and a Geist Grimm, which has taken control of large rocks and formed them into a Golem form, crash through the trees. A fight begins, in which Jaune has to participate without his weapon. He is, however, able to find a counter strategy against the Grimm. Nora and Ruby combine their Semblances to destroy the rock body, and Ruby shoots the true Geist when it tries to escape. The fight is later revealed to be part of a payed Hunter job for a nearby village. The team, after a short exchange with the village's leader, collects its reward for defeating the Grimm: Jaune's armor and sword, upgraded by the village's blacksmith. He used the metal from Pyrrha's shield, sword and armor, the remains of which Jaune had with him. After this, they leave the village and continue their journey to Haven, with Jaune remarking that JNRR "is not sounding cool anymore", and that it doesn't matter what they are called. Ruby looks saddened when Nora briefly mentions the Schnee Dust Company, probably thinking about Weiss. The white-haired girl is back home in Atlas, in her family's manor. Weiss is approached by a butler, Klein Sieben, who tells her that her father wishes to speak to her. 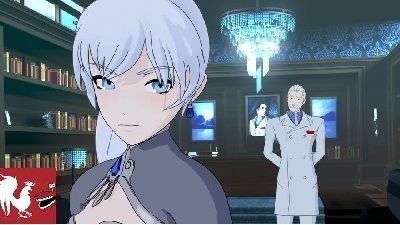 Inside the Schnee manor, Weiss walks towards her father's study. On the way, her younger brother Whitley approaches her. He says that he is glad that Weiss came out of her room for a change, and warns her that their father, Jacques, is currently having an argument with someone. 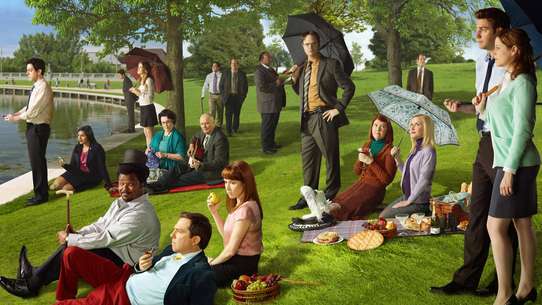 Weiss suspects their mother, but Whitley says that she is "drinking in the garden". The heiress is surprised by Whitley's cheery demeanor, even more so when he mentions their older sister Winter in a positive light, although he admittedly never liked her. Whitley wishes Weiss good luck and walks away. Meanwhile, Team RNJR reach another village on their way to Mistral, Shion. 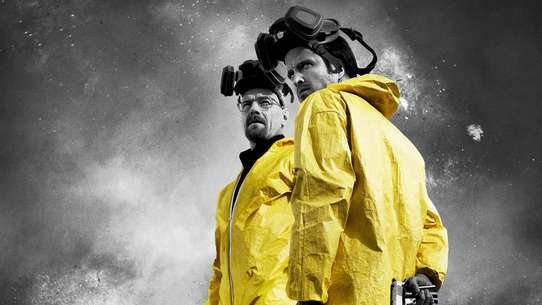 They discover it mostly destroyed and the villagers dead, all cause of a recent attack. A search for survivors follows, but only one deeply wounded Huntsman is still alive. He reveals that the village was attacked by bandits and, later, Grimm, then succumbs to his wounds. Ren acts upset through the whole scene, he even refuses to bury the dead and orders the team to leave the village immediately. While leaving, he and Nora notice a marking on the ground, which they both seem to recognize. In Atlas, Weiss enters the study, revealing General Ironwood as the person that Jacques is arguing with. He is upset with Ironwood's ban on Dust exports from Atlas, as well as another, unnamed recent measure, which both affect the Schnee Dust Company. Ironwood wants to make sure that the other kingdoms, who seem to blame the fall of Beacon on Atlas, hold the peace. Jacques disagrees completely with his policies, but Ironwood reminds him that he holds two seats on the Atlas council. The men then notice Weiss, and the General leaves quickly, but not before offering Weiss the possibility to come study at Atlas Academy. Jacques reprimands his daughter for her lack of manners, complains some more about Ironwood, and orders her to sing at an upcoming charity event, which is mostly being held to boost the image of the company. Weiss reluctantly promises to practice. Outside the study, she runs into Klein, who manages to cheer her up. Somewhere in Anima, Team RNJR are camping outside, and Ruby has nightmares about Pyrrha's death. She awakes and suddenly hears Pyrrha's voice talking to Jaune. Ruby investigates and finds the boy practicing his swordplay. On his scroll, he plays a recording of Pyrrha, which she had made specifically for him. At the end of the video, Pyrrha nearly tells Jaune that she loves him, but cannot bring herself to say it. An emotional but determined Jaune rewinds and replays the video, continuing his training, while Ruby leaves him to it. In Kuroyuri, Team RNJR fights and struggles against the Nuckelavee Grimm, as they are pushed back by its extending arms, as well as its powerful screams. Jaune rushes to the still weakened Qrow's side and gets him to safety - thanks to Ren's Semblance, which seems to disguise them from the Grimm for a small amount of time. The fight continues, and both Ren and Nora are pinned to a wall by the Grimm's arms. Eventually, they manage to break free, but both of them are later knocked to the ground and run out of Aura. 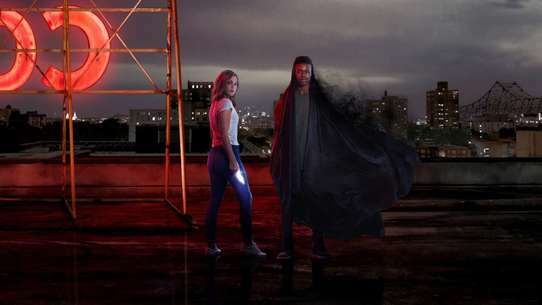 Ren has been fighting completely recklessly, and Nora pushes him under a building to save him from another attack. 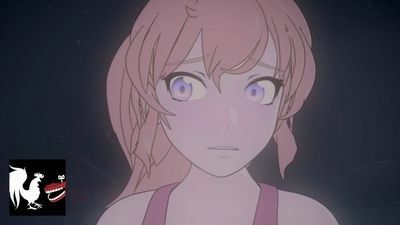 While Ruby and Jaune distract the Grimm, Nora stops Ren's next advance, stating that she won't let him get himself killed over this. They both touch the dagger that Ren's father gave to him, and vow to take the Grimm down together. Ruby comes up with a plan: she and Jaune pin down the Grimm's arms, Nora takes out the horse body, leaving Ren to deal the finishing blows. The plan succeeds, and Ren executes the Grimm, avenging his parents and the Grimm's other victims. Suddenly, two airships from Mistral arrive. They were on patrol and noticed the smoke and noise of the battle. The ships fly Team RNJR and Qrow to Mistral, while Ren and Nora hold hands and lean into each other. Later on, Qrow seems to be on the path to recovery. Ruby watches over him, and writes a letter to Yang. In her letter, Ruby writes about her journey to Mistral, but also apologizes for leaving her family, talks about her changing view of the world, and states that she misses her father, sister, and team. 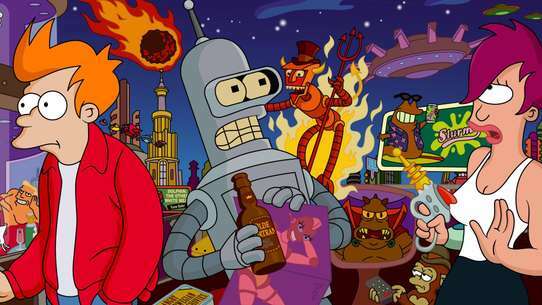 While Ruby writes the letter, multiple scenes from other characters all around the world are shown. Weiss manages to bribe the pilot of a cargo ship to fly her out of Atlas and starts her journey to Mistral. Blake looks through a box of old mementos and muses over banners with the new and old symbol of the White Fang, while Sun watches her. Yang dons a new outfit and travels to Anima by boat, while looking at a photo of Team STRQ. She arrives later on and rides her motorcycle, Bumblebee, until she comes across the forked road with signs pointing towards Kuroyuri and Mistral. "Kuroyuri" has been overwritten with the word "bandits". 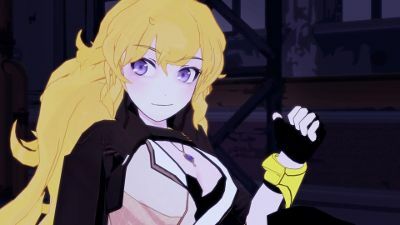 Yang smiles, says that somebody is "in so much trouble when I find you", and continues her journey on the path to Mistral. Taiyang sits at home on Patch and looks at pictures of both Team STRQ and Team RWBY. Jaune sits in front of a bed and looks at his weapon, probably remembering Pyrrha. Nora and Ren arrive and join him. Oscar's train arrives in Mistral. On Menagerie, Ilia meets up with Corsac and Fennec Albain. 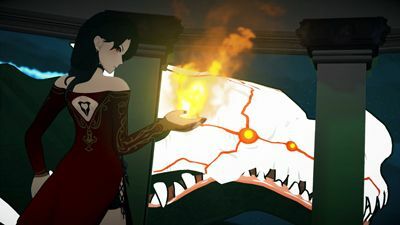 Cinder continues her training, and Emerald creates an image of Ruby, which Cinder then attacks. Mercury and a smiling Salem also watch her. During the writing process, Qrow wakes up and remarks that normally he should be the one saving Ruby. His niece concludes her letter by stating that Qrow will take them to see Professor Lionheart, the headmaster of Haven Academy. Meanwhile, Lionheart meets with Watts, who mentions that Salem has told him a lot about Lionheart's hospitality. In a post-credits scene, a fully-recovered Qrow sits alone in a bar. Oscar arrives and, after hesitating shortly, tells him that he would like to have his cane back. Qrow does not seem to be surprised, offers a smile, and hands the cane to Oscar. He answers with: "It's good to see you again, Oz." Blake is traveling on a passenger boat. She repeatedly jumps at minor noises, for example when the ship's captain approaches her. In their brief talk, he notices that Blake is acting paranoid, which she denies unconvincingly. After the captain departs, Blake states that she doesn't need her bow anymore, and tosses it into the ocean. A hooded figure watches her. Inside her childhood home on Patch, Yang flips through television channels. The news reports give updates on Vale's situation after Beacon's fall: the CCTS is still down, air travel is only used for evacuation, and the Huntsmen have not been able to retake the Beacon grounds. 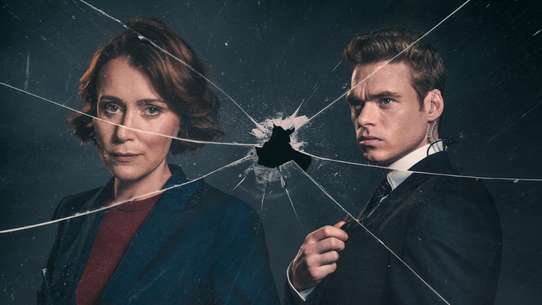 Another report reveals that Vale authorities have singeled out Adam as a main culprit behind the attack, but have not been able to capture him. When his picture is shown, Yang turns off the TV. In this moment, her father Taiyang comes home, surprising Yang with a custom-made bionic arm sent by Ironwood, along with the message that she "fought admirably". Yang, however, is hesitant to try on the arm, and disappears upstairs. She is then shown going through some daily chores. After she accidentally breaks a glass, Yang has a sudden flashback of Adam cutting her arm off. A concerned Taiyang looks on while she tries to calm down. Back on the ocean, Blake notices the cloaked figure, but in this moment, a massive sea dragon Grimm attacks the ship. Blake and the cloaked figure, who reveals himself as Sun, try to fight it off. After a long battle, during which they constantly argue with each other, the two Faunus are able to take down the moster with help from the ship's captain and crew. Afterwards, Blake is furious with Sun for following her. He believes that she is going after the White Fang, and let his team travel home to Mistral alone so that he can follow and help her. Blake can't believe him, but reveals that she is going home, to Menagerie, to "sort some things out". Sun still decides to go with her, because he believes that she will need support. Blake grudgingly allows it. In her castle, Salem is teaching Cinder something. She also asks Cinder if she truly killed Ozpin, even demanding that she say it herself. Cinder weakly replies with a "Yes". A Seer Grimm approaches, frightening Emerald and Mercury, and Salem orders it to send reinforcements to Beacon. She believes that "the relic" is still there, and also ponders what someone else is planning. Team RNJR is on the road and comes across an abandoned town, which is not marked on the map and seemingly still under construction. 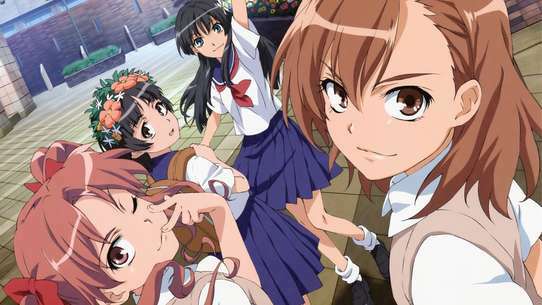 After Nora spots a sign with the town's name, Oniyuri, only Ren has ever heard of its history. He explains that Oniyuri is similar to Vale's Mountain Glenn, although it was never completed. Richer citizens of Mistral, who were disappointed by the kingdom's government, tried to make their own self-governed settlement, hoping to create an own kingdom someday. However, Oniyuri was overrun by Grimm before it was completed. Ren reveals that his parents believed in this new foundation, perhaps implying that they were killed in the attack. Team RNJR agrees on quickly leaving Oniyuri behind. Meanwhile, in Atlas, Weiss sings at the charity concert. Her performance gets her a lot of applause, but Jacques doesn't even clap. He, Whitley, and Weiss later attend the after party in the Schnee manor. During the party, Weiss is approached by a young man, Henry Marigold. He tries to make advances on her, but after he reveals that he doesn't even know that he is attending a fundraiser for Vale, Weiss has him leave the party. She then hears people gossiping about the Fall of Beacon, including a woman whose comment on the topic is "good riddance". The heiress has enough and verbally accuses everyone present of only caring about themselves. Jacques tells Weiss to stop and scolds her for embarrassing the family, but his agitated daughter inadvertently summons a Boarbatusk with her Semblance. The beast tries to attack the gossiper, but is gunned down by General Ironwood. 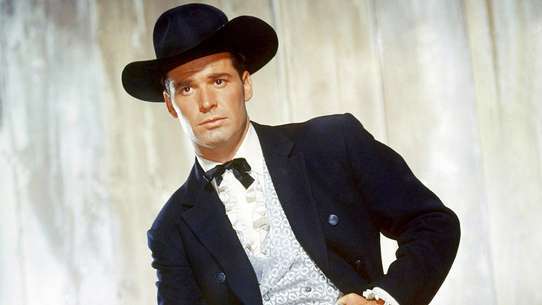 The woman demands Ironwood to arrest Weiss, but he refuses, stating that Weiss is "the only one making sense around here." Ironwood leaves, while Jacques stares furiously at Weiss. Team RNJR still have not left Oniyuri, and Ren stops the team. He somehow senses Tyrian, who, seconds later, ambushes them. Tyrian attacks immediately, pushing the team around, before stopping to declare his mission to capture Ruby. He also takes a brief interest in Jaune, and takes pleasure form the fact that Ruby doesn't know why he is after her. 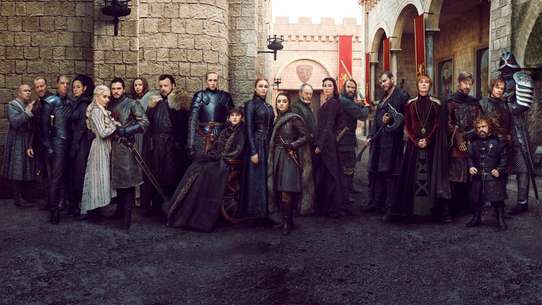 During the continued fight, Tyrian dominates the young Hunters and Huntresses. Ruby even powers Nora up with lightning Dust, but Tyrian blocks her hammer with his stinger, revealing that he is a scorpion Faunus. In short succession, he knocks down his other three opponents, and prepares to sting Ruby, whose Aura is depleted. 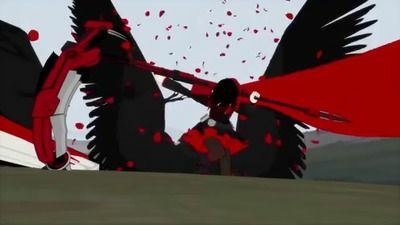 However, Qrow, who transforms from his crow into his human form, arrives barely in time to block the attack. 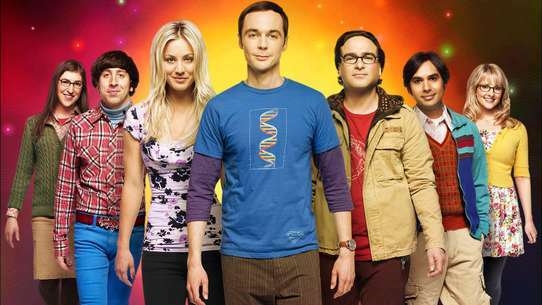 Blake and Sun find Torchwick supplying advanced armaments to a group of radicals, but the two are discovered. 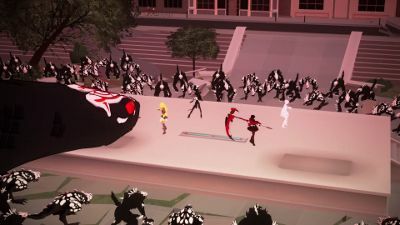 All of RWBY must unite to defeat their enemy's newest weapon. As Grimm begin attacking Beacon from everywhere, Blake and Weiss contact Yang, who tells them that the White Fang have arrived as well. 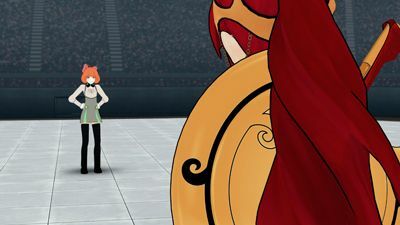 At Amity Colosseum, a Nevermore penetrates the protective barrier above the stadium and attempts to kill Pyrrha, who was still traumatized of what she did to Penny. Ruby then comes to her rescue, and Teams JNPR, SSSN, CFVY, ABRN, and FNKI all unite to take down the Nevermore. 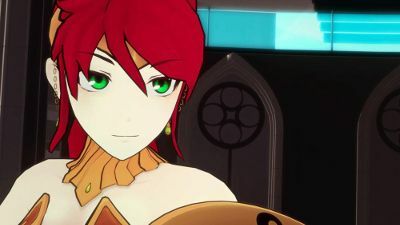 Pyrrha apologizes to Ruby about what happened to Penny, but Ruby says that it wasn't her fault, and Jaune says that whoever broadcast the message were responsible for everything that was going on. The students then reach Ironwood, who tells them that they can either stay and defend their school and kingdom, or try to save themselves. Meanwhile, Torchwick begins uploading Cinder's virus aboard the Atlesian Airships, seizing control of Atlas' robots and turning them against their human allies. Ruby notices Ironwood's ship go down when the robots turn against him, and heads for the main Atlesian Airship to stop Torchwick. 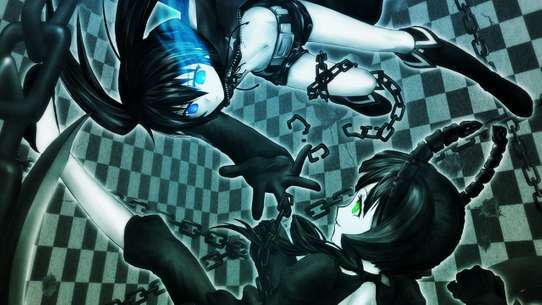 Blake and Weiss split up to fight more enemies, and the former then encounters Adam. Meanwhile, Cinder's trio watches the chaos from the rooftop, with Emerald potentially showing signs of remorse. As the fight continues to escalate, a giant Grimm Dragon suddenly appears, spawning more Grimm onto the battlefield. Pyrrha then decides to go and see Ozpin, while Jaune follows her. In Salem's castle, Cinder has difficulty defeating a horde of Grimm during her training. Salem criticizes her for holding back her new powers, but she is interrupted by the arrival of Tyrian. He hopes for forgiveness when he confesses his failure to capture Ruby, mentioning that he managed to poison Qrow. Salem voices her disappointment and leaves, while Tyrian cries out, laughs like a maniac and brutally takes out his anger on a Beowolf. On Patch, Yang spray paints her bionic arm and prepares her motorcycle, seemingly ready to leave. Taiyang appears behind her and asks where she is going. He reveals that he knows that Qrow has told Yang about Raven's possible location, something he specifically asked him not to do. Taiyang now wants to know if Yang will search for her mother, or go to Mistral to find her sister Ruby. Yang looks back at him, but doesn't give an answer. In the Schnee manor, Weiss sneaks out of her room, suitcase and weapon in hand, and meets with Klein. He leads her through the castle, but they have to split up briefly. Weiss sneaks by her father's study, where she overhears another argument between Jacques and Ironwood. The general reveals that he sent Winter to Mistral to investigate possible enemy activities, and a report from her suggests that something is in motion. Ironwood reveals to Jacques that he will be closing Atlas's border in a week to ensure the safety of its citizens. Nobody will be able to enter or leave without his permission. He also doesn't trust the people responsible for Mistral's safety to take care of the situation. As he turns to leave, Weiss quickly locks the door with a glyph, locking the men in the study. She hurries to the library, where Klein opens a secret passage for her. They share a heartfelt goodbye, and Weiss says that she will go to Mistral and find her sister. Sun wakes up in Ghira's study, while Blake is sitting nearby. She reveals to him that what happened is exactly what she didn't want to happen. She ran away from her team because she didn't want her friends to get hurt because of her. Blake admits that she loves them dearly, but also hopes that they will hate her for leaving them. She is willing to accept the consequences of her actions. However, Sun argues back that Blake is not being selfless, and that her friends fight for her because they want to. He further argues that shutting her friends out of her life has hurt them more than what their enemies can do to them. 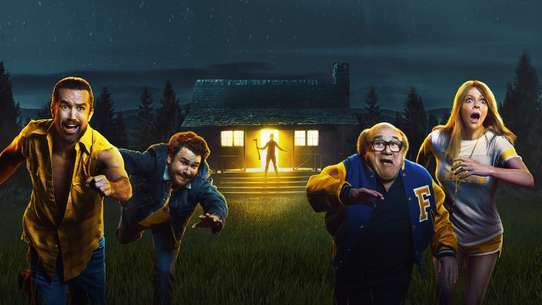 Suddenly, Kali and Ghira interrupt them. The latter is embarrassed that they got caught eavesdropping. Ghira has also looked through Ilia's scroll, and found out that Adam is planning to overthrow the White Fang leaders and start a full scale attack on Haven Academy. Blake says that they should try to take the White Fang back. 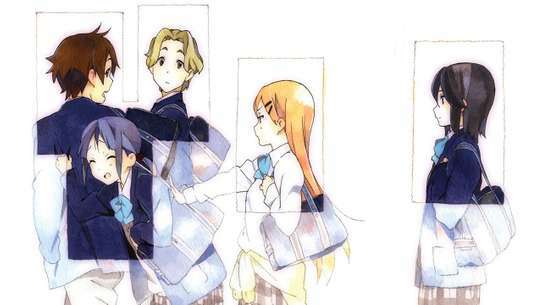 Meanwhile, Ren and Nora rush towards Kuroyuri. They find Ruby and Jaune unharmed, but Ren's relief is short-lived, as the Nuckelavee Grimm emerges. 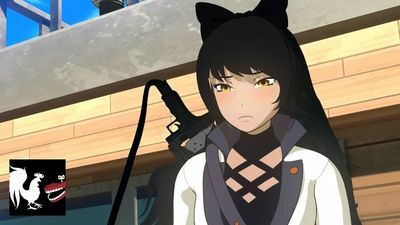 Blake and a new friend attempt to find out who's behind a series of thefts, while team RWBY try to find her after she runs away. A new semester at Beacon begins in a messy way as teams RWBY and JNPR go at it in a knockdown, drag-out food fight. Meanwhile, sinister forces gather, ready to strike at an unsuspecting kingdom. Pyrrha Nikos is one of the most promising new Huntresses at Beacon, called "the Invincible Girl" for good reason. But when it comes to matters of the heart Pyrrha's much more vulnerable than she lets on. Oscar is in his room when his aunt calls him for dinner. Suddenly, Ozpin's voice tells him that they must leave the farm for Haven Academy, and that Oscar has an important role to play. The Professor explains that his soul, Aura, and memories are now within Oscar. He proves this by letting Oscar describe the office of Haven Academy's headmaster from their now shared memories, and mentions that he helped build the school. Oscar only wants the voice in his head to go away, although Ozpin states that he had to go through the same process in the past. In Atlas, Weiss and her father are in her room, and Jacques scolds his daughter for her behavior at the party. Their argument escalates after Weiss states that she wants to leave Atlas. 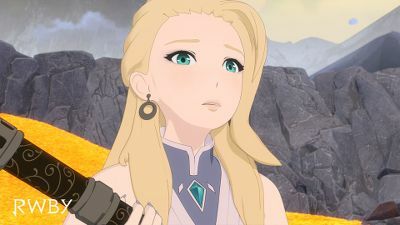 Jacques accuses Weiss of hurting the Schnee name and its reputation, to which she responds by stating that the Schnee name is more hers than his, since he only married into the family. Jacques slaps her across the face, and tells Weiss that she has to stay in the manor until she behaves better. He believes that she is siding with his other rebellious daughter, Winter. Lastly, Jacques reveals that Weiss is no longer the heiress to the company, and that he made Whitley the new heir. Weiss's brother has heard the whole conversation from the hallway, and when Jacques leaves, Weiss confronts him. 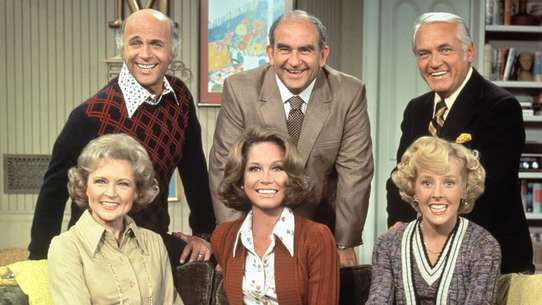 Whitley is happy with the situation, revealing that he still doesn't like his sisters, and believes that it is "foolish not to do as father asks". Weiss goes back into her room and cries, but suddenly gets up with a determined look. She moves the furniture around to create space, and draws her weapon. In Oniyuri, Tyrian seems excited by Qrow's arrival. Qrow doesn't know Tyrian, but soon realizes that he works for Salem. Tyrian initiates the fight by attacking first. Team RNJR tries to help, but Qrow instructs them to stay back. Ruby ignores this order and fires at Tyrian with her sniper rifle. However, Tyrian is able to deflect the shots. The one-on-one fight continues, and the Aura reserves of both combatants deplete at some point. Ruby tries to help again, but gets herself in danger by doing so. Qrow saves her, but Tyrian uses this moment to graze him with his stinger. However, Ruby is able to cut off part of the stinger, causing Tyrian to cry out in pain and retreat. Qrow falls to a knee, and Team RNJR rushes to his side. They want to know what is going on, and Qrow responds with the question Ozpin asked Pyrrha before he told her about the Maidens: "What's your favorite fairytale?" The match between Pyrrha and Penny begins, with both of their respective headmasters observing this time. 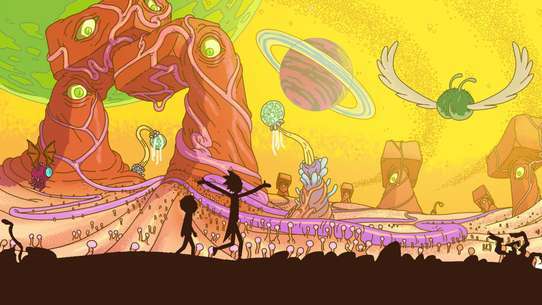 Meanwhile, Ruby attempts to flee from Mercury, but he prevents her from doing so. During the match, Emerald casts her Semblance on Pyrrha, causing her to hallucinate Penny summoning hundreds of her swords. Pyrrha then uses her Semblance to deflect them all, but the wires attached to the swords start to coil around Penny's torso and arm, causing her to be brutally ripped apart. Everyone in the colosseum is horrified of the events that took place, and Cinder broadcasts a message saying this is what happens when people place their trust in the Kingdoms and the Huntsmen Academies. 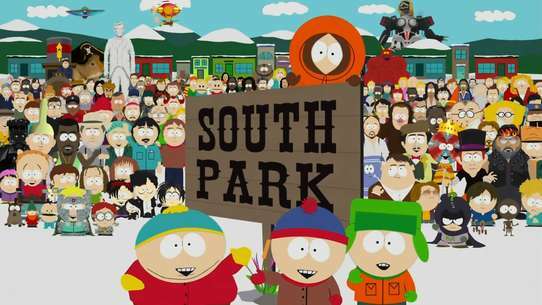 Meanwhile, massive hordes of Grimm start to make their way to Beacon. Neo breaks Torchwick out of prison, and he cripples Atlas' air force. The White Fang led by Adam also arrive with Grimm in tow. Oscar, the young farmboy, is finishing his work for the day. He walks into the barn and looks into a mirror. Suddenly, he hears Professor Ozpin's voice, who introduces himself. Oscar falls down in shock, causing his aunt to call out for him. 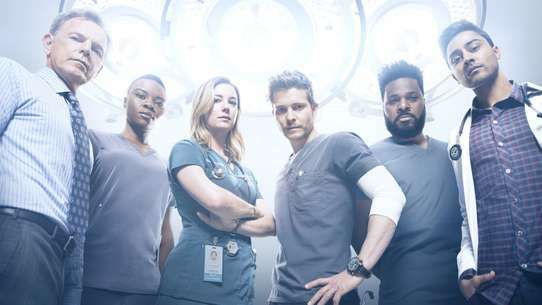 On Patch, Yang has a nightmare involving Adam. The White Fang member approaches her in the ruins of Beacon, her weapon and right arm appear and disappear randomly, and she can't defend herself until he stands immediately in front of her. Yang wakes abruptly and hears voices downstairs. Professor Port and Dr. Oobleck are visiting Taiyang, who shares a story about Team STRQ's time in Beacon and a prank that he played on Qrow. Yang joins the adults, and father and daughter have a discussion about maturity and the bionic arm. Oobleck thinks that a lot of people must care about Yang, because Atlas technology is normally not given out like this. 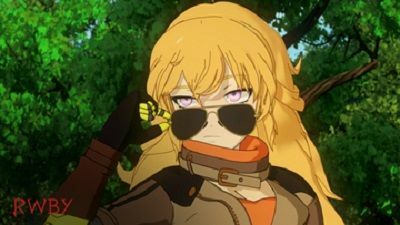 Yang admits that she is scared of moving on, explains that life with one arm is normal now, and that she hasn't put the bionic arm on because of this. The three men console her, and Port offers advice about fear. Later, Yang goes to her room, but overhears Port and Oobleck leaving. They mention that Glynda Goodwitch is running the Academy now, and also ask Taiyang about Ruby. He reveals that he would go after her, but has to take care of Yang, who looks guilty upon hearing this. Meanwhile, Team RNJR travels to a small town, Higanbana. It is revealed that Qrow has been shadowing them, while also killing most of the Grimm on their path. Ruby, Jaune, Ren, and Nora stay in an inn, and Qrow watches them from a nearby tavern. A barmaid brings him a drink from another woman, who sits upstairs - his sister, Raven. In the conversation between the siblings, it is revealed that Raven is now the leader of a tribe of bandits. This tribe once raised her and Qrow, who, unlike his sister, never returned to the "bunch of murderers". The same tribe also recently attacked Shion village. Raven wants to know if Salem has "the relic", while Qrow asks for information on the Spring Maiden's location. He also criticises her for not caring about her family, especially Yang, although Raven knows what happened to her. His sister replies that Qrow left "their family", the tribe. Qrow's attempts at getting Raven to join his side again fail, and their argument ends with no one getting an answer. Raven leaves through a portal, scaring the approaching waitress. 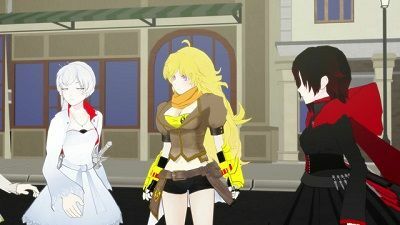 On Patch, Yang comes out of the house with her new arm attached. Taiyang notices her, and says that they "can get started". 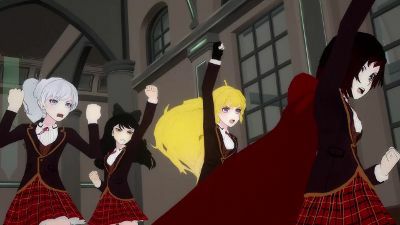 Ruby distracts Emerald and Mercury long enough for Yang to pursue Raven and Cinder, while a recovered Weiss summons the Lancer Queen to defeat Hazel. Adam prepares to destroy the school, but Blake arrives with the rest of the Faunus to take him into custody. Raven defeats Cinder in a grueling battle and unlocks the relic, but is confronted by Yang before she can claim it. Yang tells Raven that she needs her Semblance, which allows her to create portals and teleport to people she's bonded with, to get to Ruby. 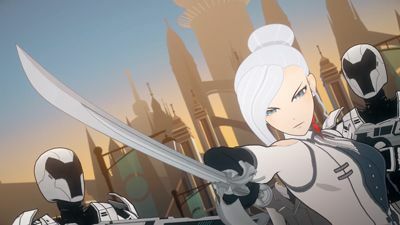 Raven initially refuses, claiming that Ozpin is not to be trusted, but Weiss escapes her confinement with the help of her Armored Knight and reunites with Yang. Not wanting to attract Grimm, Raven agrees to Yang's demands and summons her and Weiss to her tent to tell them what they need to know. Weiss and Ruby meet the occupant of the airship, Weiss' older sister Winter Schnee. Although she refuses to explain why she is at the festival or for how long, she does spend some time with Weiss. 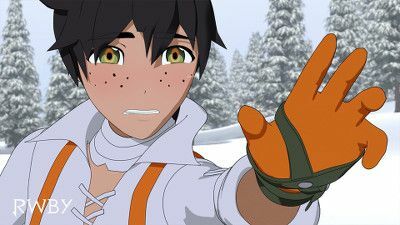 As the two attempt to leave, they are accosted by Qrow, who provokes Winter into a fight in the courtyard. 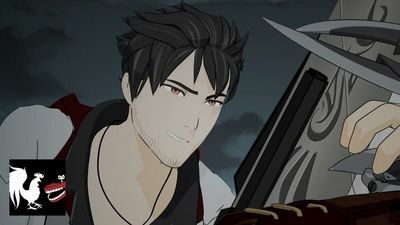 During the fight, a passing Mercury sees Qrow, much to his horror. The fight eventually is interrupted by the arrival of General Ironwood and Professors Ozpin and Goodwitch, who rebuke the two of them. 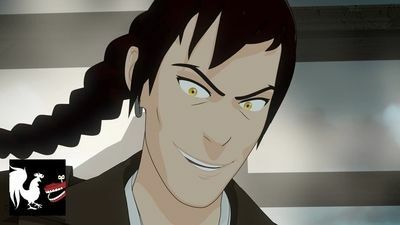 The group then retreats to Ozpin's office, where they discuss the imminent threat of Cinder and her group. Qrow reveals that the enemy has infiltrated the festival, and expresses concerns about Ironwood's show of military force, believing that they will only cause people to worry about what kind of enemy such an army would need to fight. Meanwhile, Mercury reveals Qrow's arrival to Cinder, but she is unconcerned, believing that they retain the advantage of anonymity. 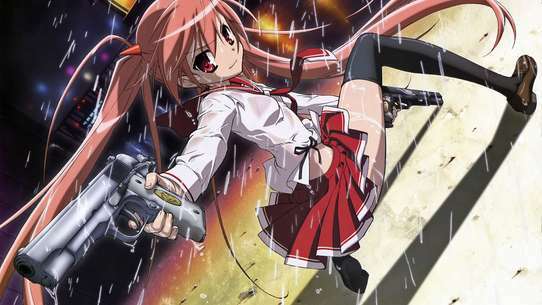 She hacks the tournament computer systems, placing Emerald and Mercury in the next fight against team CFVY members Coco Adel and Yatsuhashi Daichi. 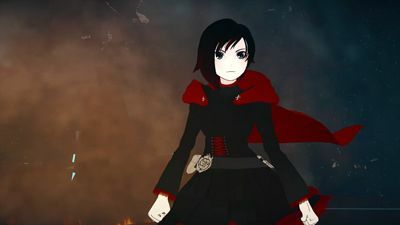 Ruby speaks to her mother at her grave before she joins the rest of team RWBY to face their first round of the Vytal Festival tournament. Professor Port and Doctor Oobleck are the announcers for the tournament and they explain the rules. There are three rounds: teams, doubles, and singles. The winners of the teams round will pick two members to represent them in the doubles round, and then one is selected for the singles round. 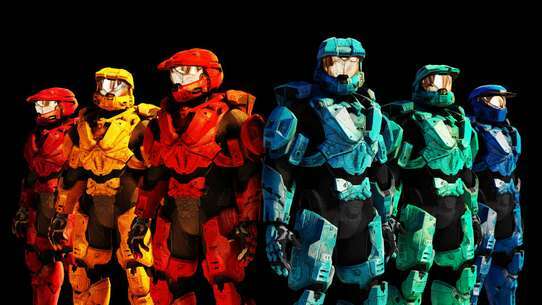 The remaining combatants will then fight until one is the champion. 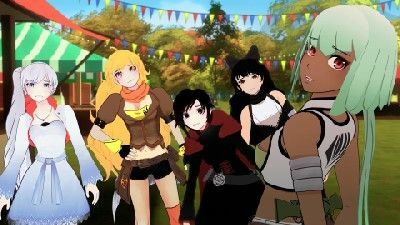 After a difficult but successful match with team ABRN from Haven, team RWBY goes to the festival fair grounds for lunch. Weiss receives a call from her father, but she intentionally ignores it. Before lunch, they meet Emerald and Mercury, with Emerald continuing to play the nice girl to get to know the team better, despite her true dislike of them. After learning that the next match will be fought by Yang and Weiss, the two leave, using Mercury's social awkwardness as an excuse. The team goes to the shopkeeper's noodle stand to buy lunch, but when Weiss proceeds to pay, her credit card is declined. Pyrrha covers lunch, which they all enjoy, though it leaves Weiss and Jaune with upset stomachs. Then team JNPR heads for the arena for their match against team BRNZ of Shade, with team RWBY, Cinder, Mercury and Emerald watching in the audience.